Nina Williams has been part of the playable roster in the Tekken beat ’em up video games since the beginning, in 1994. She’s a professional killer from Ireland. 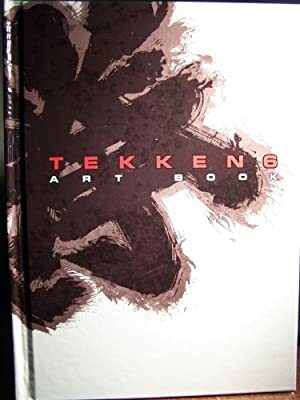 The following are 1990s notes, based on the earliest Tekken games only. The goal was to have a stab at rough RPG stats for Williams, not to have a full-on character profile. Known Relatives: Anna Williams (sister). Nina is a gifted assassin, and a powerful martial artist using a combination of bone martial arts manoeuvres and many aikijutsu moves. She also wields an ability nicknamed the “blonde bomb”. It allows to deliver an energy charge with her outstretched hands when striking a foe. Since she has lost her memory, Nina’s history is a wee bit hard to determine. During the second King of Iron Fist kumite, she was sent by unknown parties to assassinate the organizer, Kazuya, a man possessed by an evil supernatural force. However, the assassination failed due to a quarrel with her sister Anna. Nina was captured by doctor Boskonovitch, a mad scientist. Boskonovitch had to deep-freeze his own daughter at one point, and used Nina as a test subject for experiments destined to safely revive her. During these experiments, Nina lost her memories. Nina woke up 19 years later under un expected circumstances when an South American entity/artefact, the God of Fighting, was unearthed. The mystical shockwave instantly revived her. For a while after awakening, Nina was mind-controlled by the entity and was to kill Jin Kazama, a young man bent on the destruction of the God of Fighting. She made her attempts during the third King of Iron Fist kumite. Nina discovered that her sister Anna, with whom she shares a spiteful and mean relationship, was still alive after all that time.Anna has realized that Nina had been frozen, and that when she would wake up she would still be young and beautiful while Anna would be old. Thus, she volunteered with Boskonovitch, gambling her own life in the hands of a madman out of pure spite. The end sequence for Nina in Tekken III is unclear ; Anna shows her the tomb of a family member, but it’s unclear who it is. Perhaps Anna had Nina declared dead and showed her her own grave ? Anna is a gorgeous, blonde Irish lass with deep blue eyes. She wears close-fitting clothes, most often black jeans. She always wears high heels, and use them efficiently when fighting, because of reasons. Nina seems cold and deadly (she’s known as the “silent assassin”). Yet she’s nowhere as spiteful as her sister. She reportedly is kept dosed to have very little personality and simply be a weapon. Tekken III characters are almost normal humans, and unless you’re running a low-powered street campaign are likely to be outclassed. However, Nina can be quite useful whenever you need an assassin to send after some NPC. If the PCs did not recognize her, the extend of her hand-to-hand abilities could surprise the heck out of them if they expect a normal killer. Mental blast represents her Blonde Bomb ability, and has No Range (-1). Misc : Nina has amnesia (5 pts.). Nina uses normal weapons when needed, especially knives. Source of Character: Tekken III.